The week started with the alarm going off on Monday morning at 4.50am and then I went to New Covent Garden Flower Market to take photos and talk to the traders for a special Product Profile Report on Christmas plants. 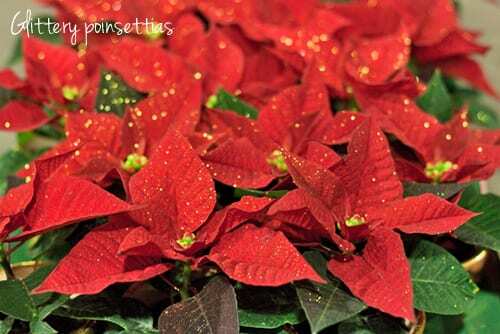 It features poinsettias, cyclamen and some very cute mossy dogs! 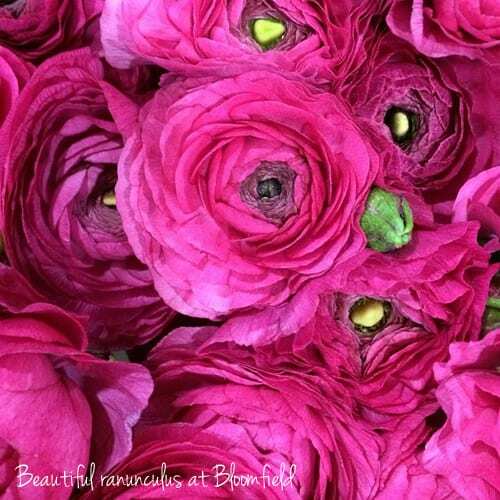 I also spotted these gorgeous ranunculus above on Bloomfield‘s stand. Aren’t they an amazing colour?! 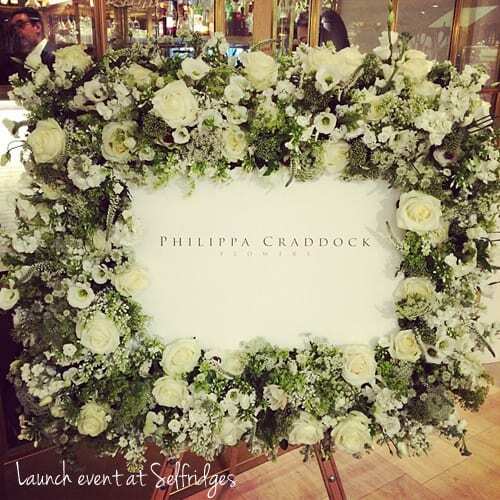 Tuesday was another early start for a Press Preview of florist Philippa Craddock‘s beautiful new collection for Selfridges. I loved the white and green floral frame which Philippa had created to greet everyone. In the evening, I came back into London to attend a ‘Blogging for Small Businesses’ event organised by Enterprise Nation. There were great talks by Kat Williams of wedding blog Rock n Roll Bride, photographer Lyndsey James and Sam Bailey from Constant Contact. If you’ve not discovered Kat’s Green Room on her blog, I highly recommend taking a look, especially if you run a small business and/or write a blog. 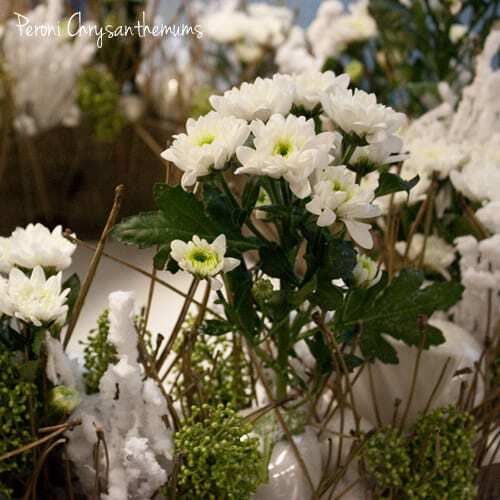 Up at 5am the next day to go to a Deliflor Chrysanthemum Demonstration at New Covent Garden Flower Market, where Dutch Master Florist Petra van der Veen showcased lots of lovely designs using chrysanthemums. 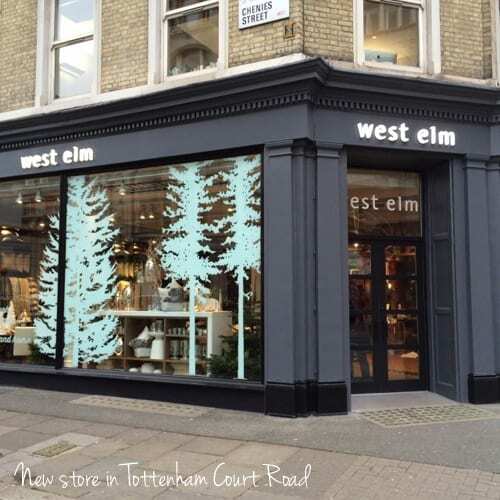 Next stop was a Blogger Breakfast at the new west elm store in London. 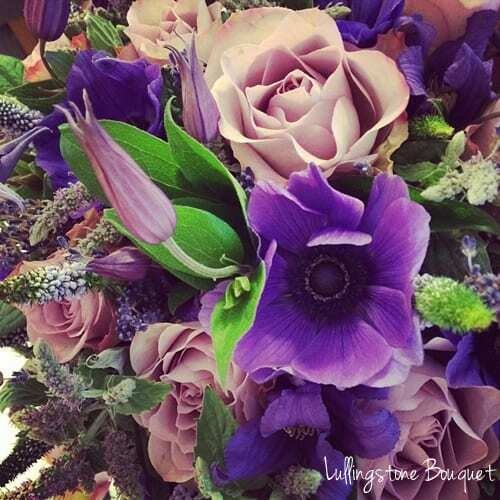 Followed by a visit in the afternoon to the Four Seasons Hotel at Park Lane for a Flower Council of Holland event. It’s amazing how inspired you can feel after spending time with some people, isn’t it? 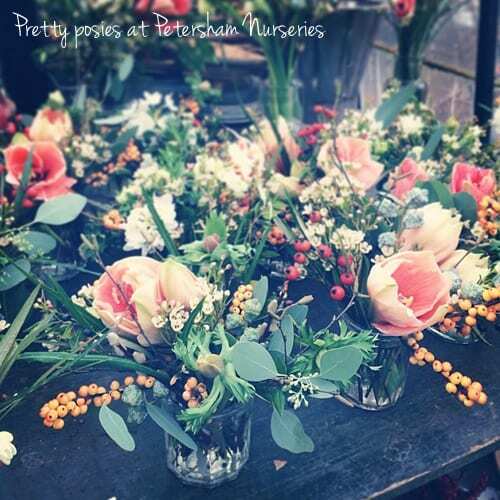 I spent Thursday morning with a very good friend at Petersham Nurseries. And even though I was absolutely shattered when I woke up due to the hectic-ness of the previous three days, I was totally energised that afternoon after meeting up with her. Perhaps the wonderful atmosphere at Petersham, all the flowers and plants plus the delicious home-made cakes may also have helped. But sometimes even though you think you’re really too busy to ‘step off the hamster wheel’ and take time out with friends, it’s just the perfect antidote. The most popular blog post this week was ‘Beautiful Christmas wreaths by Wild at Heart to adorn your door’.